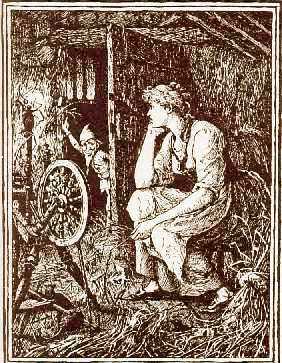 Remember the story of Rumplestilskin and the ambitious miller who told a king that his daughter could spin straw into gold? Many people dream of finding or creating more income, but they sometimes overlook what they already have, such as knowledge, experience, or raw materials. Using what you have to create something of value is what entrepreneurship is all about. You can create something of value from things you can do, things you can teach, and knowledge or things that you can package. One reason I suggest that new entrepreneurs begin with a microbusiness is that a microbusiness involves spinning straw into gold on a manageable scale. You can learn the basics of business without a large investment, and you can also learn what your prospective clients need or want. A microbusiness is a low-investment, low-risk way of trying out an idea and tweaking it until it’s just right. Almost any type of business can begin with moonlighting or as a microbusiness. If you glance back at the questions posed in the post, How to Find Your Own Heart-Based Business, you’ll see that you need to assess your gifts, abilities, and experiences in order to find your ideal microbusiness. If you choose something you already know how to do and have the equipment to handle, start-up costs can be minimal. My own entrepreneurial trail includes several years of selling avocados from a backyard tree, followed by custom macrame bracelets with names beaded in, doing calligraphy, teaching calligraphy, and finally, speaking and writing. Each of these began with something I had, and something I enjoyed and did well. What do have? What can you do? What do you enjoy? Answer these, and you’ll be a step closer to spinning straw into gold in your own small business.